A small group of fishermen went on strike, seeking more money for their stone crabs. 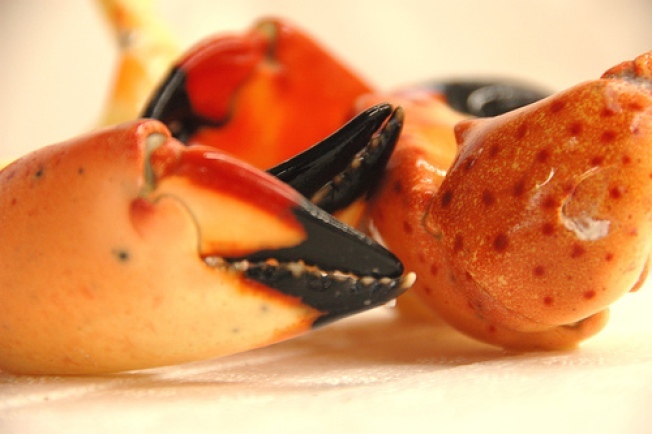 As Miami Beach's legendary Joe's Stone Crab restaurant opened for the season one small group of fishermen went on strike, seeking more money for the popular crustaceans. The crabbers want Joe's to pay more for crabs, The Miami Herald reported. On Tuesday, they asked for an initial price of $7 a pound. Everglades City crabber MacBeth Collins says they ended the season last year at $11. Joe's officials say $7 is appropriate at the start of the seven-month season. Joe's Chief Operating Officer Stephen Sawitz says prices generally increase as Christmas approaches and he doesn't want to overpay for claws before he gets a sense of the demand. The Herald reports eight medium claws typically make up a pound. On opening night, Joe's sold seven claws for $28.95.